Lainston House Hotel is located in the Winchester countryside. It sits in acres of beautiful grounds perfect for Weddings and special events. 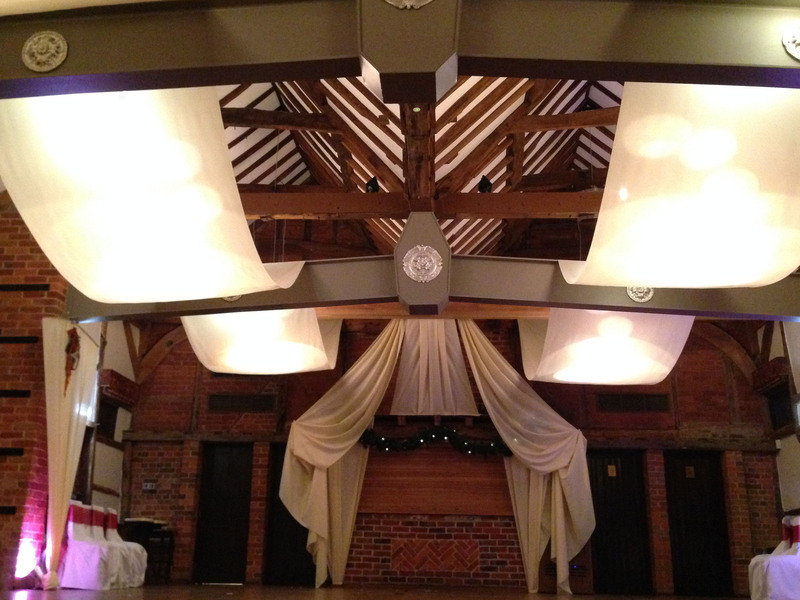 Transform have been dressing and draping the hotel for weddings and corporate parties since 2012. 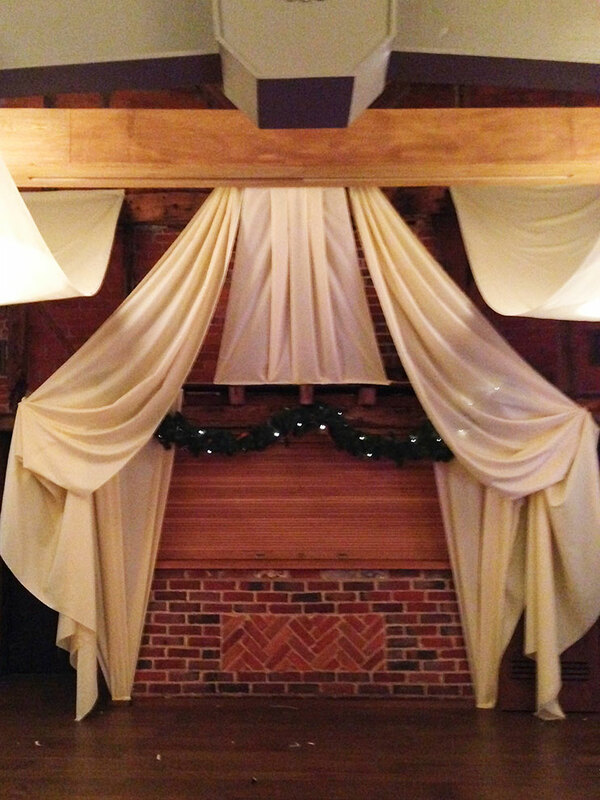 Recently we visited Lainston House Hotel to dress their elegant barn for a Christmas wedding. 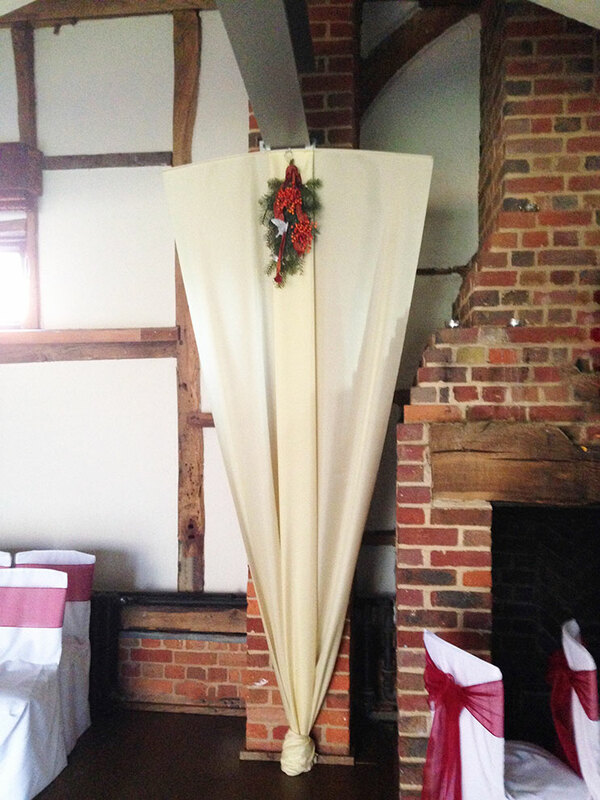 They required a subtle draping style to complement the barn’s period features. We used long lines of champagne fabric to soften the look of the steel girders and we installed up-lighters into the room to accentuate the fabric and create a sense of drama.